Documents seen by TheJournal.ie show there are planning issues around a third Dealz store, this time near the Liffey Valley Shopping Centre. A BRITISH MULTINATIONAL already under investigation by two local authorities for planning violations is operating another store in Dublin without proper planning permission. Documents seen by TheJournal.ie show that discount retailer Dealz recently opened a retail store near the Liffey Valley Shopping Centre, at Fonthill Retail Park, which has improper planning permission. Under the Government’s 2005 retail planning guidelines, local authorities have zoned many out of town locations for the sale of goods of a bulky nature, rather than retail. 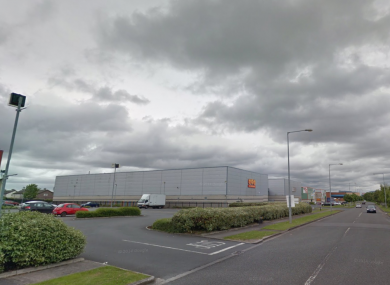 One such site is at Fonthill Retail Park in west Dublin, near the Liffey Valley shopping centre, which is zoned for the sale of bulky goods rather than retail. To facilitate opportunities for manufacturing, research and development facilities, light industry and employment and enterprise-related uses in industrial areas and business parks. The Dealz shop, however, involves changing the use of the former ‘bulky-goods’ warehouse “to use as a discount store for the sale of non-bulky convenience goods”, she says. South Dublin County Council has thus ruled that the development was not exempted from Section 5 of the Planning and Development Act 2000. In a letter to an applicant seen by TheJournal.ie, the final decision was taken by a senior council planner, who ruled that the store “does require planning permission”. However, it appears that SDCC has not taken any enforcement action against the company over this finding, and refused to comment after enquiries from TheJournal.ie. Fianna Fáil’s Dublin spokesman John Lahart called for the council to act. “If it isn’t exempt from planning and requires planning then enforcement should be used,” he told TheJournal.ie in a statement. A local Independent Alliance councillor said that the approach of the council’s planning department to stores which contravene zoning is shameful. “This council might have the poorest record of all local authorities throughout the country for enforcement,” Cllr Deirdre O’Donovan told TheJournal.ie. Where is the appetite to go toe-to-toe with businesses, with guys who genuinely believe the rules don’t apply to them? “The problem is that businesses know this, they know the council has no appetite to enforce, and they’re exploiting it. It is shameful, absolutely shameful. “It takes 12 weeks to go through process, and this council has sat for years on various enforcement matters, not serving warning notices and not enforcing. As a councillor I’ve had stand-up rows in the council at the planning desk, with officials telling me I’m not entitled to planning information as a public representative! O’Donovan said that one takeaway opened the South Dublin County Council area a year ago, despite having its application turned down by SDCC – and An Bórd Pleanála. She claims it was then granted retention planning permission by SDCC’s planning department. A second local representative, Cllr Madeleine Johansson of the People Before Profit alliance, said the situation was “shocking”. “It’s shocking that Dealz has been allowed to operate without planning permission in the Fonthill Retail Park,” Johansson told TheJournal.ie. Calls by TheJournal.ie to the Irish representatives of Dealz management were not returned. Last weekend we revealed that the Dealz chain is under scrutiny in two separate local authority areas for contravening planning permission. Wexford County Council told TheJournal.ie that it had served a warning letter on 13 August to Dealz over the chain’s outlet in Wexford Retail Park. It is understood the premises, formerly a tile store, was zoned for bulky goods, rather than for retail. The company had four weeks to reply to the warning letter. Wexford County Council is currently considering enforcement under Part VIII of the Planning and Development Act, 2000, which makes it an offence to carry out an unauthorised development. Dealz, owned by UK firm Poundland, which was recently taken over by a South African retailer, previously applied for retention planning permission at the Wexford store before Christmas of last year, but was told by the Council that the application was invalid. Earlier this year, Galway City Council also refused Dealz permission to retain signage on its Eyre Square premises in the city. The UK-owned chain submitted a conservation report with the application for the building – a former men’s County Club dating back to 1850 – arguing that the signage was “sympathetic” to its location. After complaints by An Taisce, City Council planners ruled that the building was within the Eyre Square Architectural Conservation Area and the sign contravened it. Last month, Dublin City Council gave Dealz changed planning permission to take over the Epicurean Food Hall, which sits at the confluence of Liffey and Abbey Streets in Dublin 1. The food hall ceased trading in March after 16 years in business. The British retailer’s planning issues follow several high-profile cases of multinationals opening stores without planning permission. Earlier this week, Starbucks opened a new outlet in Waterford City without proper planning,TheJournal.ie revealed. Waterford Council’s planning department say they have opened a planning enforcement case on the multinational, which was the chain’s first to open in the city centre. In Cork City meanwhile, a decision on a planning application from Starbucks for its outlet on Princes Street next to the English Market is expected on 21 September. The cafe is one of three outlets Starbucks opened in Cork in the past 18 months ago without the necessary planning. In March, An Bord Pleanála body ruled that the three developments – the other two are in Opera Lane and Patrick Street – amount to a change of use, meaning planning permission was needed for all outlets. Starbucks recently applied for retention planning permission for the Princes Street store to use the unit as a coffee shop with seating. Email “Dealz planning violations: Dublin council refuses to issue enforcement notice”. Feedback on “Dealz planning violations: Dublin council refuses to issue enforcement notice”.